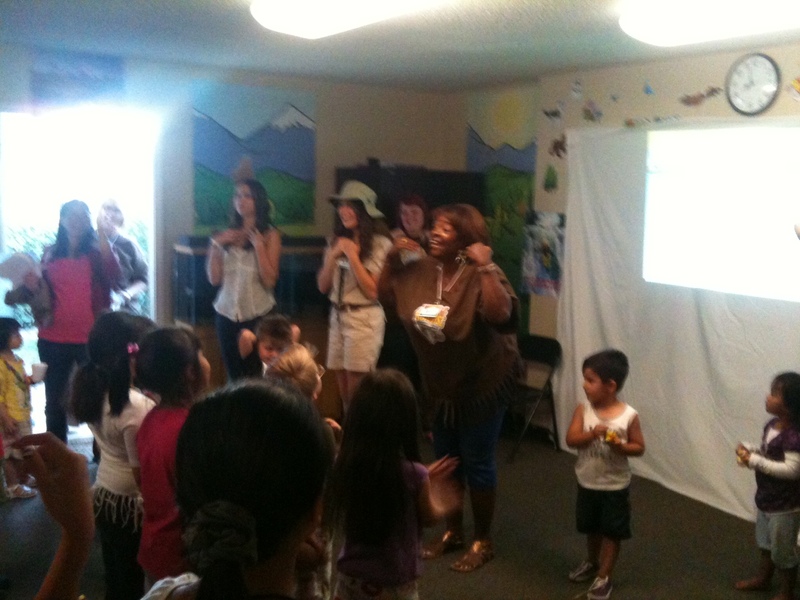 This past June, Church Volunteer Network partner church Lighthouse Ministries of Elk Grove hosted a week long Vacation Bible School program at Sunset Park Apartments in South Sacramento. Each evening from the 25th-29th Lighthouse Ministries provided a meal along with worship, a craft, games, and a Bible lesson for the children living in the complex. Lighthouse Ministries already has a monthly presence in the apartments, running a Saturday morning kids day on the third Saturday of each month, and once a year in June they go all out with this five-day program. Volunteers from Lighthouse Ministries leading worship! This year was a great success! A total of 85 children came through the VBS doors to experience the gospel and the love of Christ through this awesome church ministry. Over the week 7 children gave their lives to Christ for the very first time. From Lighthouse there were over 40 volunteers that came throughout the week to help make this event so successful. Because Lighthouse Ministries has had such a consistent presence at the complex for the last seven years they have seen many of these children grow up and this year there was a need for a more teen-focused program. So this year Church Volunteer Network’s summer interns partnered with young adults from Lighthouse to start a simple teen discipleship program, a youth group. Through the week about 10 teenagers from the complex attended this intensive and relevant Bible study program. At the end of the week three of these teenagers gave their lives to Christ for the first time and Lighthouse plans on incorporating this teen youth group into their monthly Saturday programs. It was an exciting week to watch God work through this wonderful church group and reach so many children in this South Sacramento community!